এরা কিছু একটা সফটওয়্যার ইন্সটল করতে বলে, এটা আবার ক্ষতিকর হবে না তো?? keuki bolben kivabe upload korbo. আসসালামু আলাইকুম, Ami share korte parchina. Please, kivabe share kori ektu bolun na bhaiya. jodi-o akhane 5GB free ache ..tar por -o aita anek bahlo..plz dada try kore dekh te paaren..! This is not so efficient file storage site bcoz its free acount does not support file sharing. 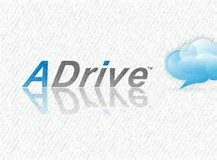 you can try http://www.skydrive.live.com this site for file storage. it gives you 25gb of free space to storage and its so easy to use.